Toronto-born rights management company ole has extended and expanded its partnership with Timbaland. ole and Timbaland’s pop and urban publishing co-venture Bluestone, founded in 2012, will continue – with industry veteran Eric Spence continuing to work with ole to facilitate the future activity of the company. ole has also expanded its worldwide administrative deal with Timbaland himself, including the addition of YouTube and other digital video platforms. As part of the extension of Bluestone, ole and Timbaland have also extended their relationship with hit songwriter and American rapper, Garland Mosley (ak Sebastian), on a worldwide administrative deal. In 2013, Mosley, brother of Timbaland and best known by his stage name Sebastian, was the first deal signed by Bluestone. 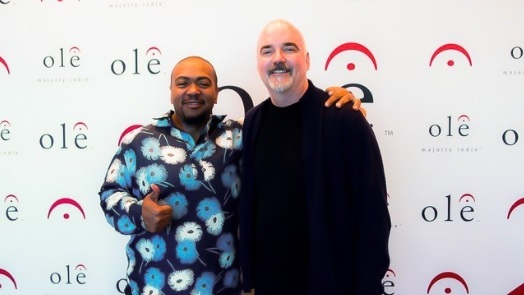 “ole is very pleased to extend the term of our successful, 5-year co-venture with Timbaland and Bluestone,” said ole CEO & Chairman Robert Ott. “We look forward to supporting the development of promising new talent under Timbaland’s able guidance.” “I look forward to extending my successful partnership with ole, and ascending to new heights in our future business endeavors,” said Timbaland. In addition to Mosley, Bluestone maintains a roster that includes Milli Beatz, David Bratton, Justin “Capo” Andrews, Doug Makuta, and Maurice “Velly” Conaway.